The African American Society (AfroAm) is an organization to support the African American Community at Case Western Reserve. We originally started as the “Afro-American Society” in 1968. We were founded by a cohort of student leaders, including the late Stephanie Tubbs Jones, who would later become an influential Congresswoman for Ohio. As an organization, we grow and develop many of the strongest leaders on campus with our network of support. We are proud to think and live and grow as we are. We strive to be aware and engaged in the work that is needed to sustain a fair and just campus, Cleveland, national, and global community. The purpose of the African Students Association is to expand and enrich the minds of those in and surrounding the CWRU community on African culture. Through events such as the cuisine expo and the cultural show we aim to promote diversity, respect, and mutual understanding by exposing the community to authentic African culture. This is an all inclusive club so anyone and everyone is welcome to join! The Asian American Alliance strives to better reflect the Asian-American undergraduate experience and to promote unity and cultural awareness in our community. We hope to promote awareness of Asian American social issues and also to promote our diverse culture by organizing educational and recreational events throughout the academic year. Chinese Student and Scholar Association (CSSA) was established in 2007 and is supported by Consulate General of the People's Republic of China. Each year, we hold three to five activities that have more than two hundred participants. The objective of Chinese Student and Scholar Association (CSSA) is to serve all students and scholars in the community of Case Western Reserve University. We are engaged to support various cultures and build a close connection between Chinese Culture and the others on Case Western Reserve University campus. In addition, we hope to bring more happiness, warmth, and passion to the atmosphere of our campus through many traditional Chinese activities, such as Lunar New Year celebration, First-Year Welcome Party, and Academics and Career Workshops. DCI’s mission is to protect the rights of children, stop child labor, and help families lift themselves out of poverty through education, healthcare, vision care, and income generating opportunities. DCI envisions a society where underprivileged children have equal access to opportunities for a secure and prosperous life. We look forward to the day in which child labor and trafficking will be eliminated globally. DCI also seeks to connect American youth to less fortunate children of other countries, educating them about the challenges facing children worldwide, developing their intellectual capacity, and inspiring them to take leadership in humanitarian causes; in this way we hope to nurture responsible and compassionate world citizens and future leaders. The Filipino Student Union aims to share Filipino culture with the CWRU community in the strong spirit and lively disposition that Filipino culture values. We're fun! FUN! We hope to promote interests and address concerns of Filipino students, promote knowledge and awareness of the Filipino people and Filipino-Americans, and encourage the embrace of Filipino culture through social, cultural, philanthropic, and community service functions. 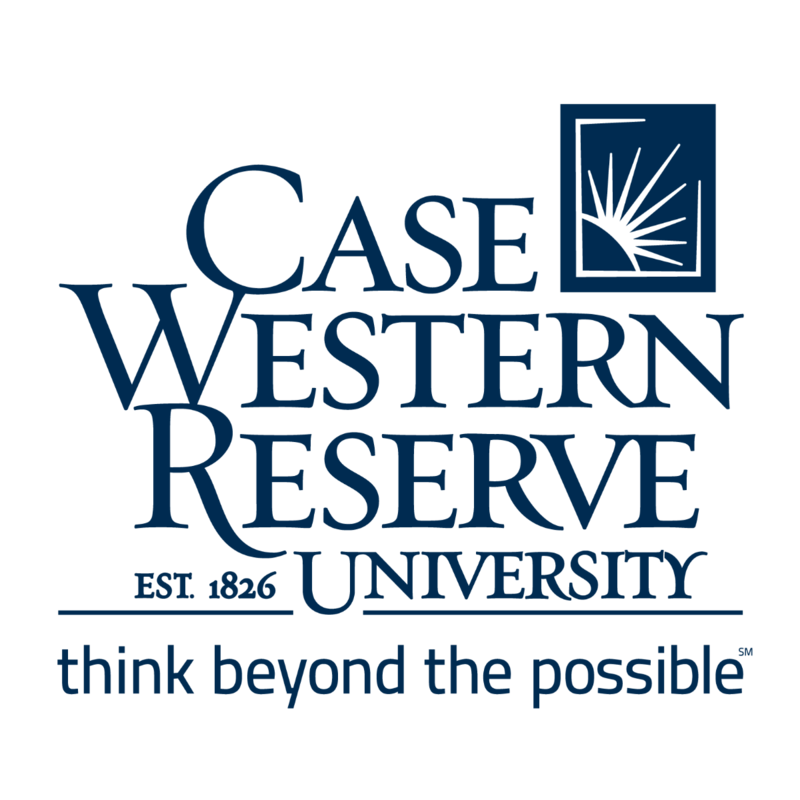 We are open to all students –graduate, professional, and undergraduate –of Case Western Reserve University regardless of race, religion, gender, ethnicity, or disability. Everyone is welcome! InterVarsity Christian Fellowship is a diverse group of undergraduate college students joined by a common interest in seeking to know more about Jesus Christ and to be His light on the campus of Case Western Reserve University. Our vision statement for this academic year is: We invite all corners of Case Western Reserve University to come unashamed before the LORD so that they can be set free. KASA serves to be a resource for the education of Korean culture and to advocate the voice of Korean Americans and others who are interested. Korean Student Association is a cultural club organized to introduce Korean culture to the Case Western Reserve community. Each year, we organize and host events to increase the diversity within our school, keep students actively involved in the college community, and help ease international students into a foreign culture. We hold a variety of events during the school year, as well as annual events, such as Chuseok Dinner and KSA Night, providing students with a taste of Korean culture. La Alianza is a Latino student organization that serves the community, celebrates the Latin American culture, and supports Latino students at CWRU. An event based club for anyone who enjoys Italian Culture. MECA shares the rich culture of the Middle East with the Case campus. Our fun events are filled with the music, dancing, hookah, and delicious cuisine of the region. All are welcome! The Muslim Student Association (MSA) at Case aims to provide a home away from home for Muslim students on campus by organizing various religious and cultural events throughout the year. These events are open to all Case students, staff and faculty as well as family members regardless of their religious, cultural and ethnic background. Our organization reaches out to everyone who is interested in learning about Islam and embraces the concepts of harmony in diversity, peace and fellowship,. Besides religious and cultural events, MSA activities also include social and community service projects. With events for our own campus community as well as reaching out to other universities and local organizations, MSA hopes to promote an understanding of Islam, a religion that espouses peace, tolerance, humility and charity among other things. Through our fundraisers and volunteering projects, Case MSA is striving to add to our diverse campus's extraordinary pool of cultures and backgrounds while serving the needs of the Cleveland community. NAMI, the National Alliance on Mental Illness, is the nation's largest grassroots mental health organization dedicated to building better lives for the millions of Americans affected by mental illness. NAMI advocates for access to services, treatment, supports and research and is steadfast in its commitment to raising awareness and building a community of hope for all those in need. Our mission on the CWRU campus is to raise awareness of mental illness through events and distribution of informational materials, educate students on their options in addressing and treating mental illness, as well as provide peer support for those struggling with mental illness. We work closely with University Counseling Services (UCS) and other student activist organizations to create a positive, constructive space in which students feel safe, address the problems students face when seeking help, and expand the reach of the services offered by UCS and other mental health resources on campus. NSBE's mission statement is to increase the number of culturally responsible Black Engineers who exceed academically, succeed professionally, and positively impact the community. We have meetings every 2 weeks where we share valuable information for developing young professionals. NSBE puts on professional and engaging events. Our professional events connect students with professionals in the area for mentoring and the opportunity to gain corporate experience. The highlight of the year for our members is always the national conference where there is a large career fair and multiple workshops. In addition to professional events, our chapter strongly believes in giving back to the Cleveland community. We are involved with our NSBE Jr. chapter as well as tutoring programs at local Cleveland schools. The Pakistani Student Association is an organization that strives to spread Pakistani culture across campus & Cleveland through the many events that we hold in the school year! We are currently working with the Cleveland Cultural Gardens to help build a Pakistani garden. We're always looking to expand & meet people that are interested in our culture, so reach out to us! The mission of Partners In Health Engage is to fundraise and advocate for the cause of providing quality healthcare infrastructure in the poorest communities around the world, as well as in our own local communities. We fundraise directly towards our cause, raising money for building clinics, building roads, training healthcare workers from local communities, and maintaining a constant supply of resources to the health systems that we build. We advocate for the idea that healthcare is a universal human right, and mobilize our local community to push for health care policy reform and social change. PERIOD @ CWRU’s mission is to advocate for menstrual care on CWRU’s campus and in the Cleveland community. Our goals are to normalize menstruation for all students regardless of gender identity, provide care packages for those in need, and affect legislation by empowering students to raise awareness about the issue and create change. The Soka Gakkai International (SGI) is a lay Nichiren Buddhist organization devoted to establishing peace through the inner transformation of each individual. The goal of Buddhism as practiced in the SGI is to enable every single person to become happy in this lifetime without exception. SGI Nichiren Buddhism exists to help us win over ourselves through tapping into our inner Buddhahood by chanting Nam-myoho-renge-kyo twice daily. In winning over ourselves—which is called human revolution—we inspire the people around us to change too. This is the basis for true global peace, which can only happen when each person believes in their own limitless potential and everyone else’s limitless potential—the ultimate purpose and mission of the SGI! The purpose of this group is to increase Case Western Reserve University's (CWRU) involvement with the Greater Cleveland special needs community. There will be a three-fold approach to this goal; an annual hosting of Special Olympics, cooperation and support of other student group with similar goals, and sponsoring smaller volunteer events throughout the year that benefit the Greater Cleveland special needs community. Spectrum is a UDC-recognized student group at Case Western Reserve University. We aim to provide an environment where LGBTQIA (lesbian, gay, bisexual, transgender, queer, questioning, intersex, and allied) persons can socialize, learn, and grow. It is operated by and serves the needs of undergraduate students, but does welcome graduate and professional students as well as faculty and staff. The Student Community at Covenant, inspired by faith, exists to create a hospitable environment in which students feel welcome to enjoy meals together, find friends with a common purpose, serve the surrounding community, explore matters of faith and religion, and if they choose, to join in various styles of worship. The mission of the Taiwanese American Student Association is to empower and inspire the Taiwanese American community, as well as to work with other cultural groups at Case to promote diversity. By providing events and resources that explore and celebrate Taiwanese American identity, we help develop personal friendships and professional networking. The Feminist Collective at Case Western Reserve University will attempt to bring awareness to the many political, social, and economic issues women and other oppressed populations face in society today. While many believe that women's rights no longer need to be discussed, the truth is that many women and other groups still face subjugation, oppression, and discrimination. This not only affects women in society but cis-men, LGBTQ+ individuals, people of color, neuro-atypical, differently abled, and all others affected by oppressive sociocultural, political, and economic forces. By unmasking and bringing public awareness to the obstacles we face daily, we will fight to bring justice, equity, equality, and respect to all individuals on this campus. The International Multicultural Exchange is an organization dedicated to promoting cultural diversity on campus by engaging in ethnically rich programs and the enhancement of members' knowledge of various heritages. The group will interact with other older cultural organizations on campus in order to create a close knit campus community that is open and understanding of each group's differences. TIME also hopes to enlighten the CWRU community in regards to how our differences can be combined to advance our university socially and academically. An organization to promote community, empowerment and outreach within the black female community. UPCaM is a progressive campus ministry that is proud of its history as a program of mainline Protestant denominations and their historical emphasis on social justice, peace, and a spiritual openness to all human beings that is clearly exemplified in the ministry of Jesus. It seeks to complement and supplement a student's academic experience, not distract from it. The mission is to serve the wider church while the students are on campus, be they far away from home or commuters. The Vietnamese Student Association promotes Vietnamese culture within the diverse Case Western Reserve University campus. We encourage healthy cross cultural relationships and showcase Vietnamese heritage through group activities, events and opportunities. We provide for all students, regardless of their ethnicity, a rich understanding and appreciation of global diversity and Vietnam. Voices of Glory is CWRU's one and only Gospel Choir. VOG is an active group within the campus and throughout the Cleveland community. Being comprised of many voices, different religious affiliations, or no affiliations at all, enhances the rich diversity of the organization. VOG members connect their voices and their hearts to sing praises and bring glory to God.Rehearsals are not just a time to learn gospel songs and fellowship, but they are also the perfect interlude between the stress and hectic schedules of Case students. Come join us for a time of fun, fellowship, and freedom to sing!